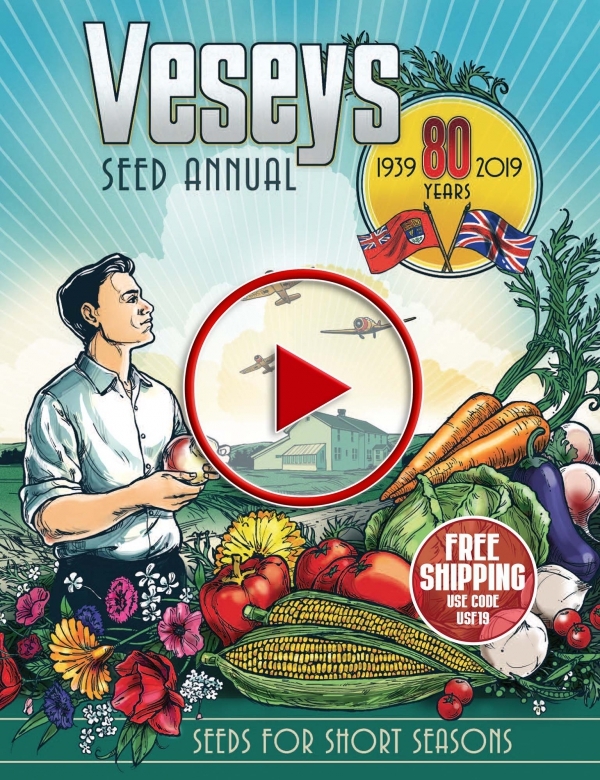 Since 1939, Vesey's Seeds Ltd. have brought the promise of spring to the gardeners of North America. Browse our digital catalog online to see the best and brightest selections for the upcoming seasons. You can click on the image below to flip through our digital catalog and select your favorites! Please note: As we make continued efforts to reduce our carbon footprint in America, this year our Catalog will be restricted to the online version below. As the costs and environmental impact of printing and mailing catalogs across the US have been increasing at an alarming rate, it is our hope that by offering our products in an “online only” manner, that our customers will appreciate the benefit of pricing that reflects this change.